In the wake of the senseless killing of Trayvon Martin ... "The company known as Koch" which manufactures paper products is sponsoring and paying for Zimmerman's legal fees because they feel he had legal right to bare arms and shoot Trayvon we are asking that people everywhere ban together and pass this information on and not purchase any of the following items because your money will be paying for Zimmerman's lawyers and legal fees. Please do not purchase any of the following items :Angel soft toilet paper, Brawny paper towels, Dixie plates, bowls, napkins and cups, Mardi gras napkins and paper towels, Quilted northern toilet paper, Soft and gentile toilet paper, Sparkle napkins and paper towels, Vanity fair napkins and paper towels, Zero napkins and paper towels. Why is this disturbing you ask? Because we live in the United States of America not North Korea. Let me start by addressing the rumor that this email is based on. I have not heard about this Koch Company legal fund, nor will I waste any time attempting to research this. However, let's play pretend since that's what people are into nowadays. Ok, so this Koch Company is helping George Zimmerman? SO WHAT! I am not going to participate in some phony boycott of a company because they are contributing monetary funds to the legal defense of a US Citizen. We've discussed this case in great detail here and I still stand with Trayvon Martin and his family, and I do believe him to be the victim here. George Zimmerman committed a crime that was heinous and he deserves to be punished, but he also deserves to receive that punishment from a court. I am fully aware that we've just learned that legal defense funds were raised for Zimmerman, in the amount of $200K. However, the US Constitution grants us ALL the right to Counsel. Knowing this, why would anyone want to deny someone that right or attempt to infiltrate his ability to exercise that right? I am pretty sure the Martin family is receiving contributions from various legal defense funds. Would you be comfortable with a similar email or plea for a boycott of a Trayvon Martin Legal Defense Fund? Probably not. The nerve of this author of the email to subject it "Make a Difference." 1. I am assuming that they are referring to the infamous "Koch Brothers." Have you heard about them funding a legal defense for George Zimmerman, as the email I received cites? 2. 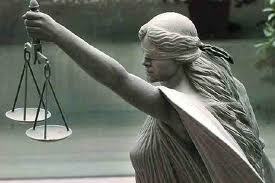 Can you agree that we shouldn't deny Zimmerman the right to Counsel? 3. What do you make of the recent $200K legal defense fund from the website?